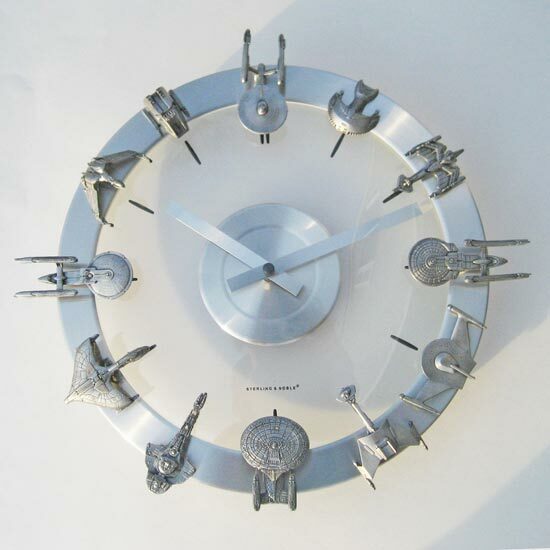 Some of our readers will remember the cool Star Wars Starship and Fighters Clock, that we featured on Geeky Gadgets last year, there is now a new version available, and this one is a must for Star Trek fans. 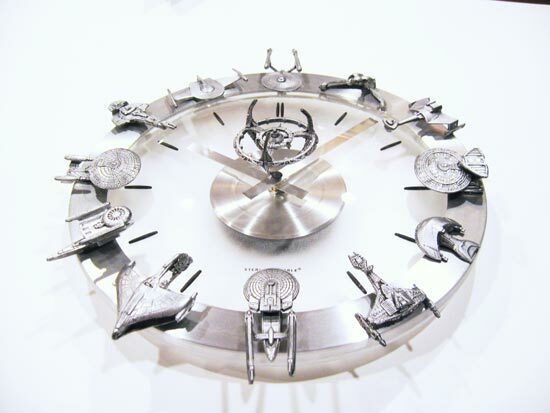 The Star Trek Clock features 12 vintage classic action fleet micro machine starships, warships and other vessels, and each one is hand finished in a black and silver pewter colour. 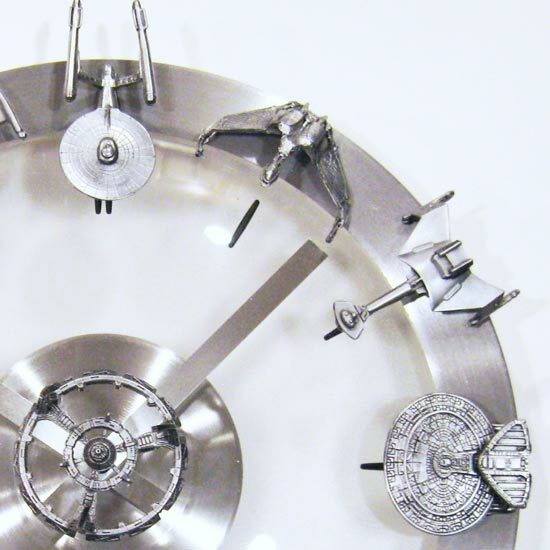 This amazing Stark Trek clock is the work of YOUgNeek, and each clock is a one of a kind, you can also order a custom version with your favourite ships or vehicles. 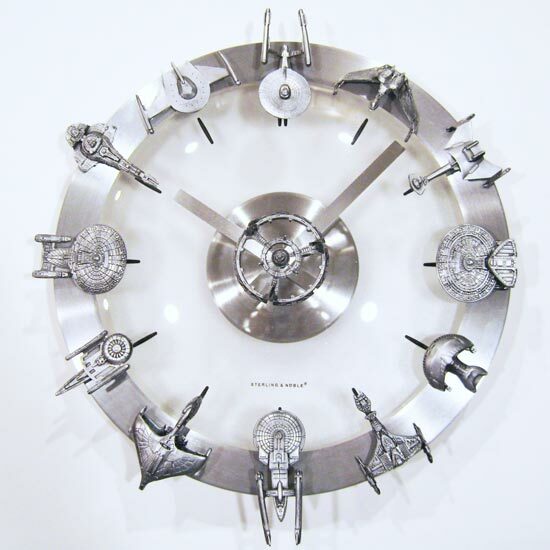 The Star Trek Clock is available for $109.99 from YOUgNeek.